I went to my daughter's first sono. Me and the tech saw the first baby then she scanned to the side then the tech hit my arm and said look at that. I started crying and my daughter asked me what was wrong. I told her nothing, your having twins! It was the most special moment and I can't wait to see them, we are blessed. I have identical twin boys. If only I can shout to the whole world that I am a mother of a twin then I should have done. I feel blessed and and very proud. They were born on February 16, 1998 today they are celebrating their 20th birthday. I am very happy because they are both smart,healthy and strong and currently taking BS Electrical and Civil Engineering respectively. I am a twin, because of the love of twins i hope to have a twin. i asked God for a flower - he gave me a bouquet. i asked God for a minute -he gave me a day. i asked God for true love - he gave me that too. 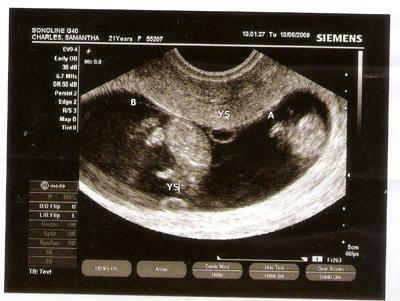 i asked God for a baby - he gave me two! I am almost 11 weeks pg with twins, found out through a vaginal ultrasound at about 8 weeks at an ER visit (elevated bp). I am curious as to when I should expect to be able to see genders? Also, I am 37, have had a preemie previously at 29 weeks (17 yrs old and healthy, other than has ADHD and aspergers disorder. Sweet, intelligent, well mannered boy! ), have been told that I am high risk for previous preemie birth, advanced maternal age, twin pregnancy and history of high bp. Should I be having more appointments and or more ultrasounds? Dr does not have me scheduled for an ultrasound, and I will be 12 weeks at my next appt! I am worried! You know when my marriage held i have told my friend that i wish i can have twins.i was surprised when i conceive with twins at my first pregnancy Allah lessoned my prayer.first i was wishing one boy baby and one girl baby but with the passage of time i became greedy and start praying for two boy babies.it is true that human desires have no limits.Please please all pray for me that i would be blessed with 2 boy babies please. I'm 21 and found out when I was 8 weeks that I was having twins. I'm high risk because of two previous miscarriages so I get ultrasounds every two weeks. My next one is tomorrow and I'll be 12 weeks and 4 days. I'm sue May 17th, 2010.
i hope everything goes well!!! i hope that your blessed with the joy of kepping up with them when there older!! I dont know what to say but CONGRATULATIONS on the twins!! !